We went out for one of our little new year’s traditions this morning, breaking the tedium of the New Year’s restock and raiding the supermarket shelves for cut price Annuals. Steering the children skilfully away from a Flappy Birds cash in, we came away with the old reliable Beano Book and a reprint of some Topper strips. 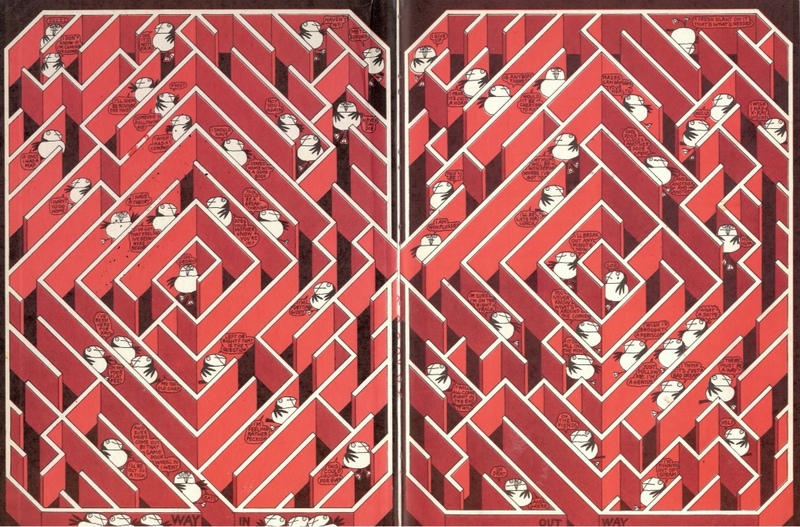 These have already been demolished, but luckily I have a secret weapon in reserve – the very first Puffin Annual from 1974. I couldn’t believe my luck when I picked this treasure up in Oxfam last year. The contents read like a who’s who from the golden age of children’s literature, promising contributions from Joan Aiken, Roald Dahl, Tove Jansson, Michael Bond, Raymond Briggs, Quentin Blake… the list goes on. 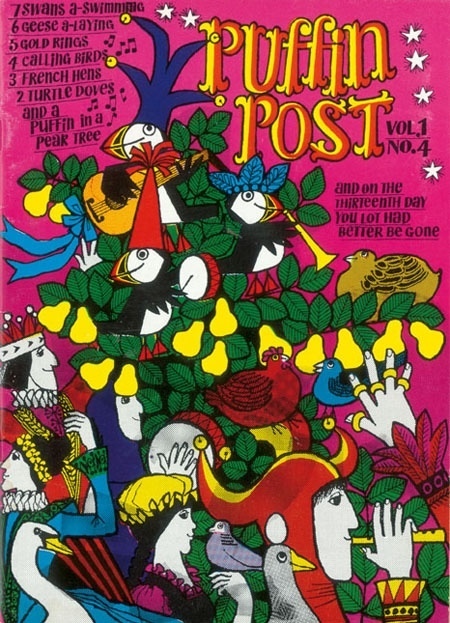 The annual was a spin off from Puffin Post, the groundbreaking children’s book club run by visionary editor Kaye Webb. Open practically any of your favourite children’s books published between 1960 and 1980 and you’ll see Kaye’s byline. For two decades a book under the editorship of Kaye Webb was a sure sign of quality. Webb was the person who turned the job of children’s author from one of the more eccentric out-postings of the literary landscape into a new type of pop cultural celebrity. The publication that helped achieve that was Puffin Post. Using her amazing powers of persuasion she coaxed these curious writers out of their sheds and into the lives of their young readers. 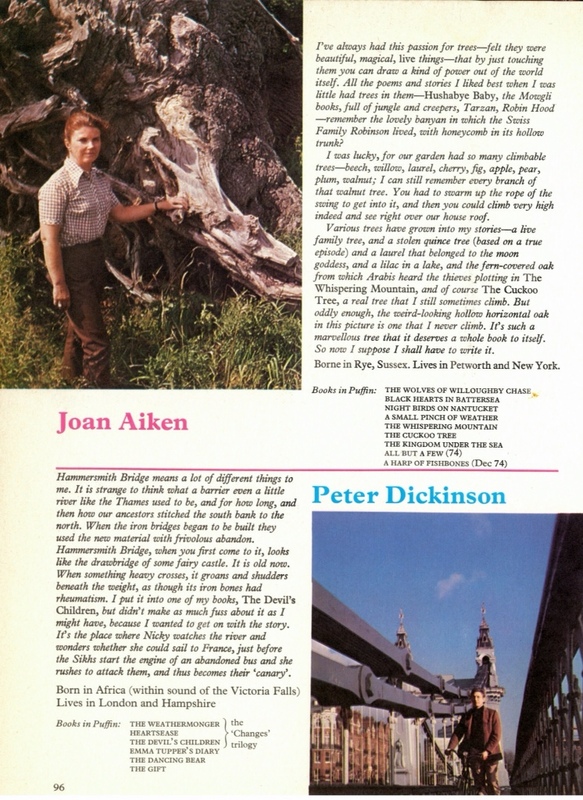 Esteemed authors not only wrote for the quarterly magazine but attended the club’s roadshows in the school holidays. This was the beginning of the publicity rite of passage that is now part and parcel of writing for children. Kaye was the organiser and ringmaster of these authors’ parties, and it was her as much as the stellar talent who helped attract the club’s 80,000 members. The 1974 Annual shows exactly what drew readers to Puffin Post. The front cover by Australian illustrator Jill McDonald could be reprinted today without any need for an update. 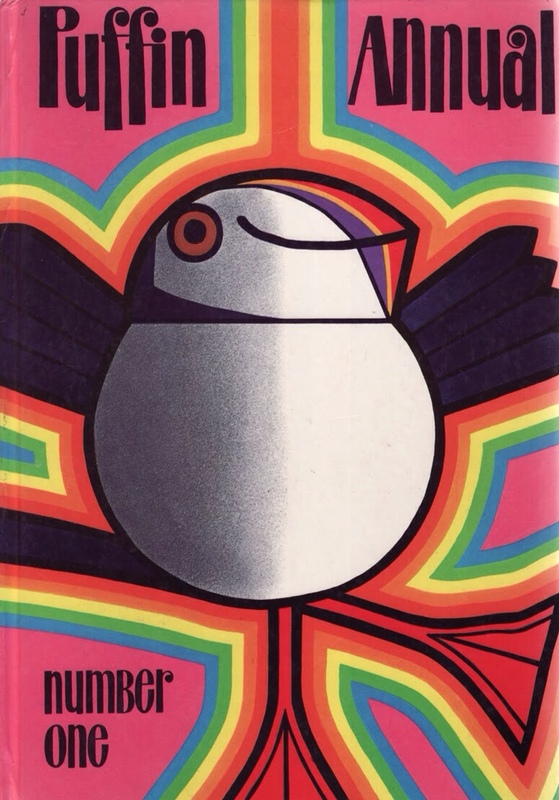 Her tubby take on the Puffin logo stands as one of the most iconic characters in the world of children’s books – despite never having starred in its own title. The bird breaks away from the loom carrying its thread around the world, and through the pages of the story, weaving a sparking web from Piccadilly Circus to the dome of Saint Peter’s in Rome. 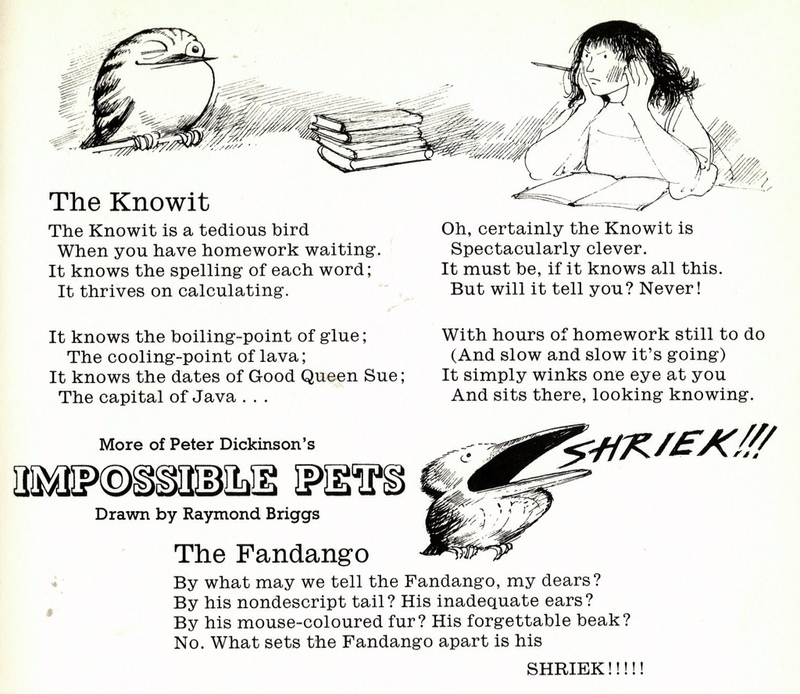 Raymond Briggs teams up with Peter Dickinson to create a series of Impossible Pets, from the Fandango and the Knowit to the awful Cuddlyjob – ‘I hope you do not glimpse, beneath that fur, a gleam… that might be… teeth. Russell Hoban provides a quartet of timeless tales about the amazing secret lives of a collection of not so inanimate objects. 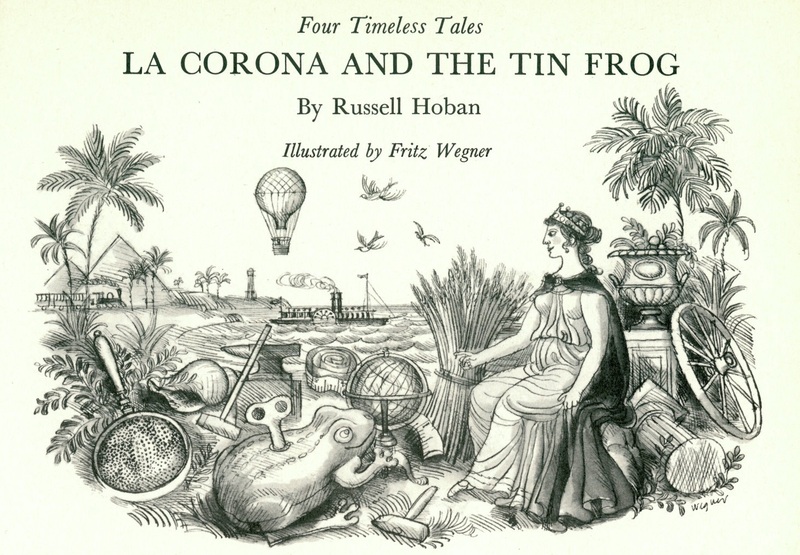 They were later collected and published as a book, taking its title from the best of them, La Corona and the Tin Frog. This compact fairy tale is a take on the story of the frog prince – though in this case he’s all frog. 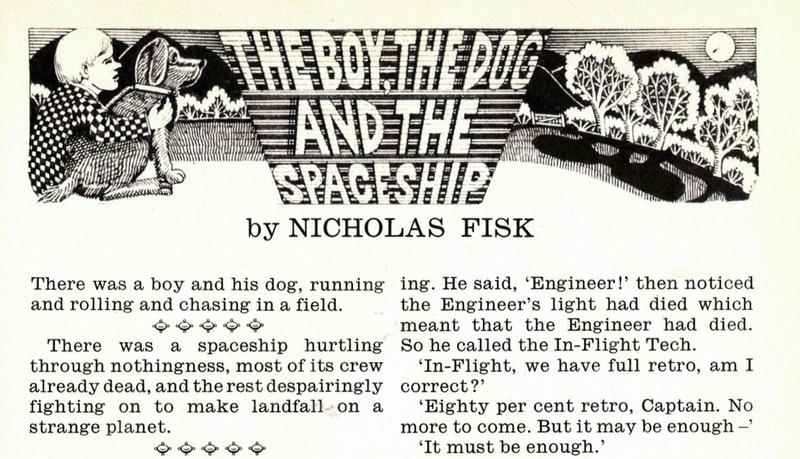 Nicholas Fisk, fresh from creating Grinny, one of the creepiest children’s books of all time, stays on form here with another sci-fi horror, The Boy, the Dog and the Spaceship, a sly twist on the Invasion of the Bodysnatchers that will have you itching all over. 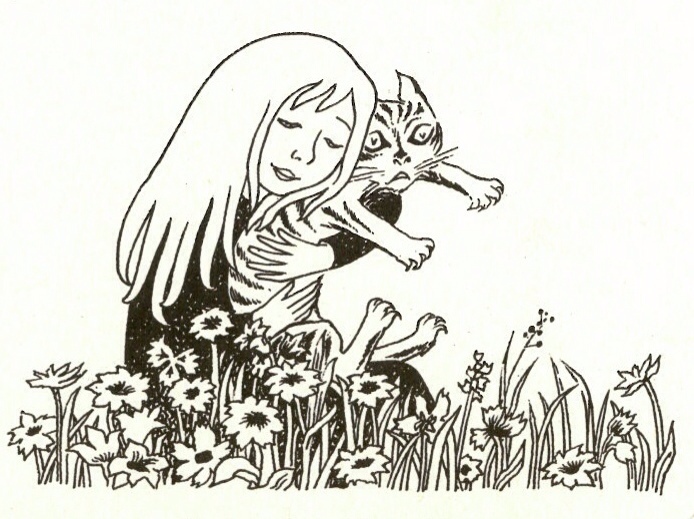 Tove Jansson, who had just published one of her first books for adults, The Summer Book donates one its more child friendly chapters ‘The Cat’ in which young Sophia attempts to tame a rather undomesticated feline. Thrillingly Tove also provides some fabulous illustrations of the ill tempered creature, not included in any other edition of the story. 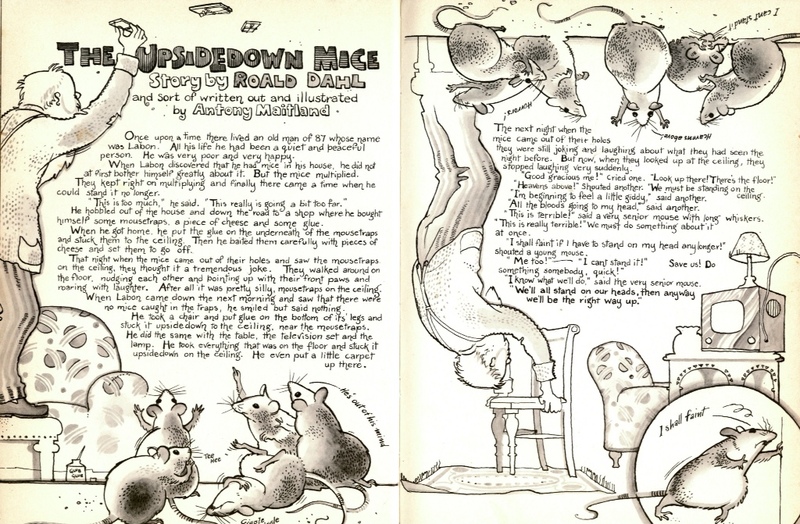 Even more exclusively Roald Dahl is on hand with a brand new short story called The Upsidedown Mice in which we see the germ of an idea that took root in The Twits: A poor but happy man called Labon attempts to rid himself of a mouse infestation by glueing all the furniture to the ceiling. 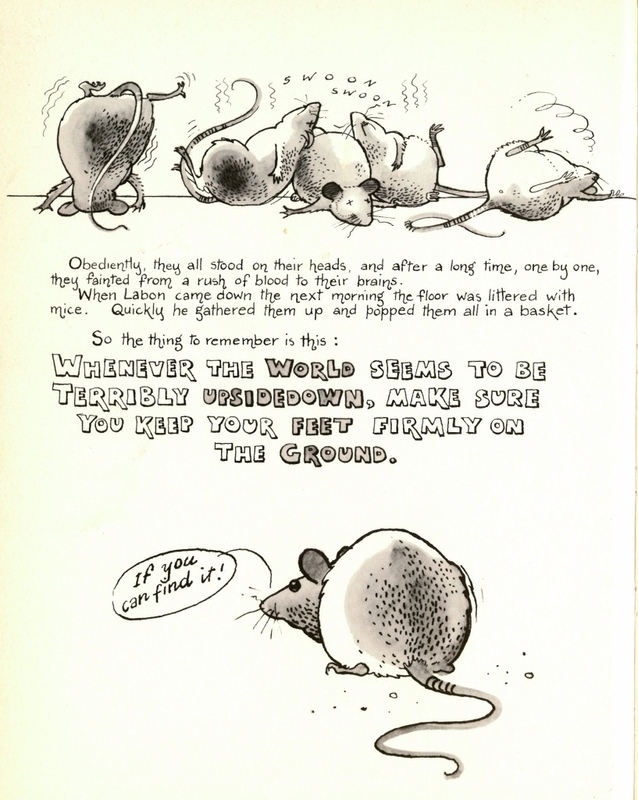 The mice attempt to turn the world the right way up by standing on their heads, and are done in not by the shrinks, rather a rush of blood to their brains. Roger Lancelyn Green, author of classic retellings of the Norse legends and King Arthur explains the origins of another much loved children’s series, Narnia, by his friend C.S. Lewis. I could go on. I’ve not even mentioned the story by Paddington author Michael Bond, a Professor Branestawm adventure, or the illuminating interviews with Edward Ardizzone and Nina Bawden… But I will be returning to the world of Puffin throughout the coming year, picking some of the best bits from its time under Kaye Webb’s editorship. There’s Nuffin’ Like a Puffin. Tags: annual, C.S. Lewis, Joan Aiken, kaye webb, Michael bond, Padington Bear, peter dickinson, Puffin books, Quentin Blake, Raymond Briggs, Roald Dahl, the beano, Tove Jansson. Bookmark the permalink. 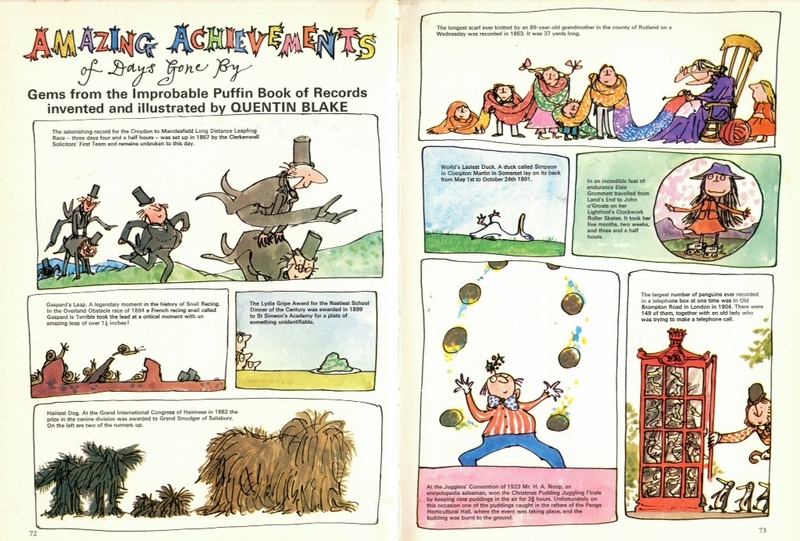 Nuffin’ like a Puffin… A Who’s Who of 70s children’s authors in just one book: marvellous, as is the review. Thank you so much for sharing this, what an amazing find! I still remember being in the Junior Puffin Club and the day I learned to read from the Puffin Post, can’t remember the story but everything just clicked and I knew what the words said. Wish these things were still going. 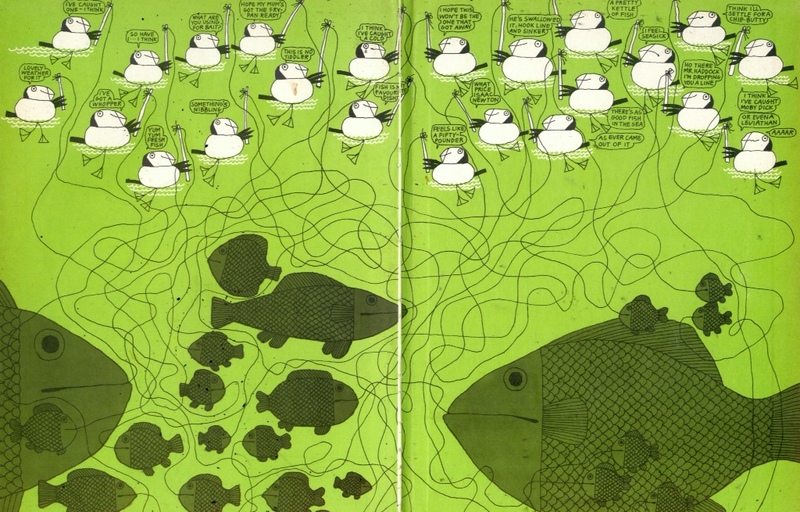 A really nice blog about the first Puffin Annual for children, published in 1974. I particularly like the Impossible Pets and Roald Dahl pages. Perfect Post-Christmas Perusing…! Brought back lots of lovely Puffin memories – I was lucky enough to help out with the Puffin Post, meet all those people at parties and put on plays with a Plethora of Puffineers…Hooray for Kaye, and Jill Mc Donald! And lovely to see that picture of my Mum! Another priceless post – thank you! Look like the cover of a Hendrix album. What a fantastic blog – can see myself getting lost on there for some time. I’m planning another Puffin piece for April – may well be in touch to ask to borrow some of your wonderful images. Be my guest – The only way that Jills work can survive is by people sharing and appreciating it. I’m afraid I haven’t posted anything for ages. Maybe it’s time to remedy that. Thanks – just checked it out. Really nice work! I’ll have to get back to some restoration soon – I’ve got one burning a hole on my desktop that really deserves some attention. More than 40 years later I still have my childhood copies of Puffin Annual number 1, and Puffin Annual number 2. I have no idea if there were ever any more after that. They were/are SUPERB. There were no annuals of this quality (that I have ever seen) for my children. My Dad bought them for me. He worked in a bookshop. THANK YOU DAD.